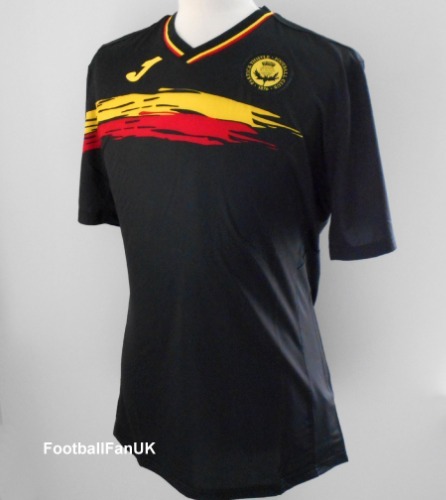 This is an official Joma black away football shirt for SPL club Partick Thistle FC for the 2017/18 season. New with tags in sealed Joma packaging. - Black with red and yellow trim. - Adult Medium. Chest 41", length 28". - Adult Large. Chest 43", length 29". - Adult XL. Chest 45", length 30" - SLIM FIT.